Edmonton is the friendly capital city of the province of Alberta. Centrally-located in Alberta's industrial heartland, Edmonton still retains an abundance of nature both within and surrounding the city. Edmonton is a young and dynamic city with something for everyone: from one of the largest shopping malls in the world to one of the largest urban parks in the world. If you visit Edmonton, move to Edmonton or start a business in Edmonton, think big! Edmonton is home to just under 1 million people and the census metropolitan area has a population of over 1.3 million. 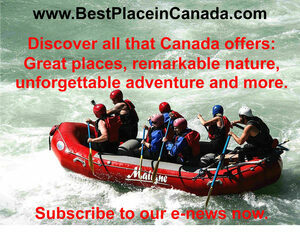 It is one of the fastest growing cities in Canada. Edmonton has the largest urban park in North America. It is 22 times larger than Central Park in New York City. 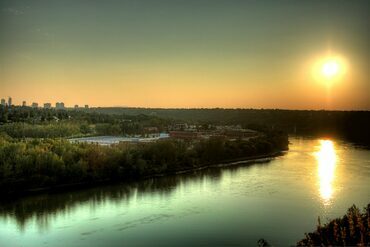 Edmonton has over 88 kilometres of river valley park…right through the city. Edmonton is home to professional sports teams, including the Edmonton Oilers (ice hockey) and the Edmonton Eskimos (football). 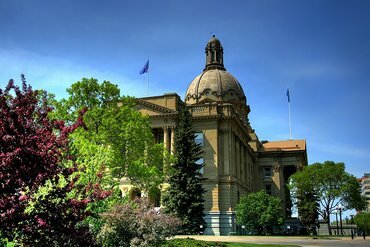 While Edmonton is the seat of government for the Province of Alberta, it is not just a public-sector city. The diverse local economy includes strong manufacturing, construction, energy and health care sectors. Advanced education is also well-represented in Edmonton as the city is home to the Northern Alberta Institute of Technology and the University of Alberta. The latter is a “top 5” Canadian university and one of the top 100 universities in the world with world-leading areas of expertise in paleontology, forestry, petroleum engineering, geology and transplantation. The city is poised to become a healthcare technology innovation hub anchored by the strong foundation in life science research. In addition to a highly skilled and diverse workforce, Edmonton is a major multi-modal distribution hub for North America. It has excellent air and rail transport options and is the northern-most point of the CANAMEX Trade Corridor, connecting Canada, the United States and Mexico by highway. It is also connected to the TransCanada Highway linking all Canadian provinces from the Pacific Ocean to the Atlantic Ocean – over 7500 kilometres (over 4600 miles). There is more to Edmonton than the West Edmonton Mall, which spans 48 city blocks and includes the world’s largest indoor water park. In addition to amazing shopping, the city delivers on music, theatre and dining. Nine of Canada’s top 100 restaurants are located in Edmonton. 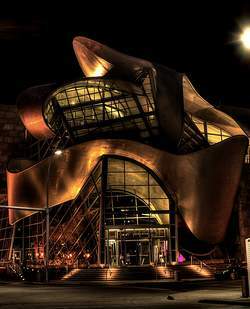 The city is home to many art galleries and entertainment venues offering everything from opera to local theatre and improvisational comedy. You can also step back in time and experience nineteenth century life at Fort Edmonton Park, or visit the Ukrainian Cultural Heritage Village to learn more about the culture and contributions of Ukrainian settlers to the city. While winters in Edmonton can be cold, you will find music, comedy, film and arts festivals year-round. The city loves to have fun and loves to welcome people from abroad. In addition to endless riverside walking and running trails through the city, Edmonton offers golf, fishing, boating and outdoor skating adventures. This is a sporting city filled with people who like to participate in outdoor life. There is even a ski centre in the city, which boasts 25 skiable acres of machine-made pristine groomed snow, offering runs for beginner and advanced skiers and snowboarders as well as a mogul run and Terrain Park. Edmonton hosts rodeos and BMX bike competitions for the adrenaline junkies, while more meditative types can stroll through botanical gardens at the University of Alberta or in nearby St. Albert. There is always something fun to do in Edmonton.